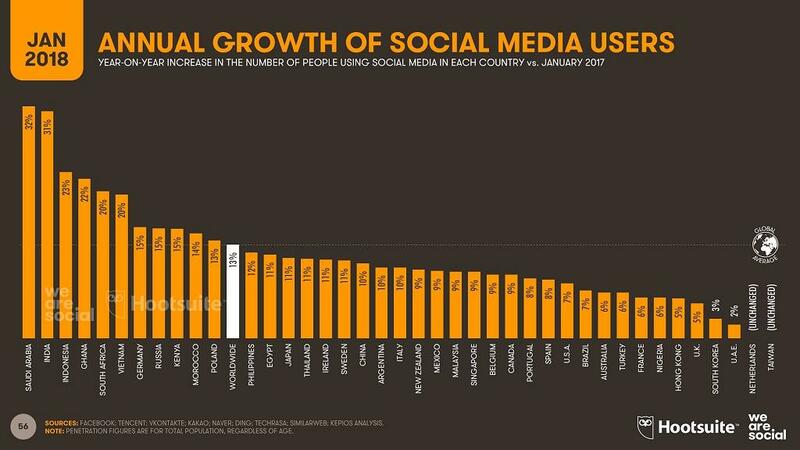 An annual report released by global digital agencies, We Are Social and Hootsuite, reveals that Africa has seen the fastest growth rates in internet penetration, with the number of internet users across the continent increasing by more than 20% compared to 2017. The ‘Digital in 2018’ report shows that over half of the world’s population is now online (4.021 billion), with the latest data showing that nearly a quarter of a billion new users came online for the first time in 2017. 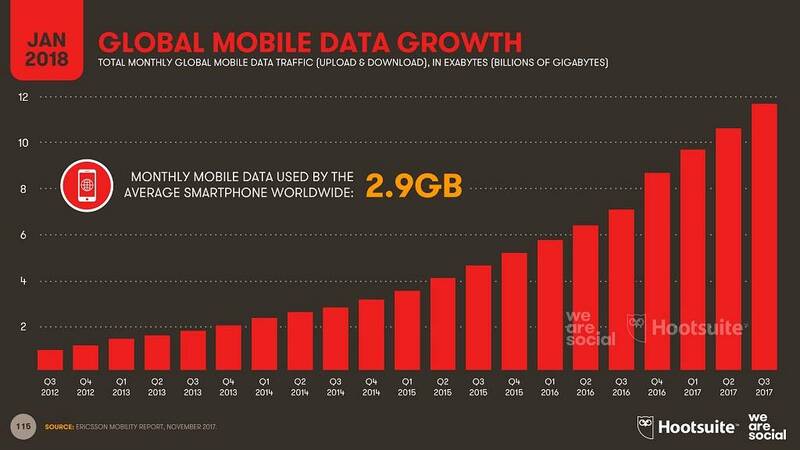 Much of this year’s growth in internet users has been driven by more affordable smartphones and mobile data plans. Users in Africa are up by more than 20 percent, with the reported number of internet users in Mali increasing by almost 6 times since January 2017. The number of internet users in Benin, Sierra Leone, Niger, and Mozambique has more than doubled over the past year too. 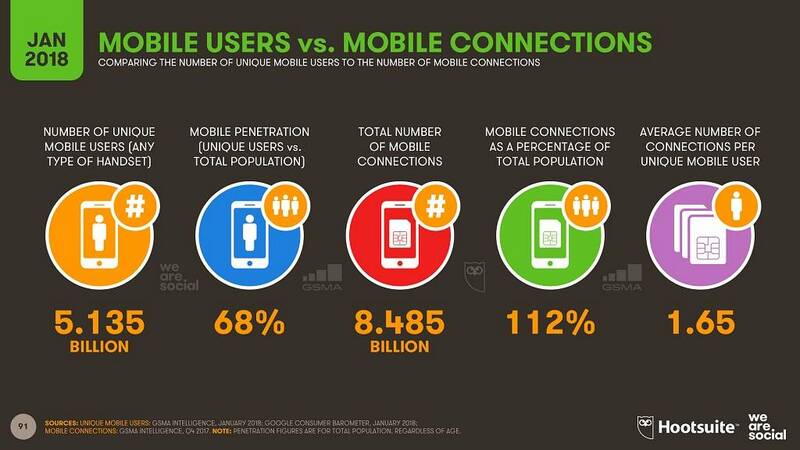 More than 200 million people got their first mobile device in 2017, and two-thirds of the world’s 7.6 billion inhabitants (5.135 billion) now have a mobile phone. 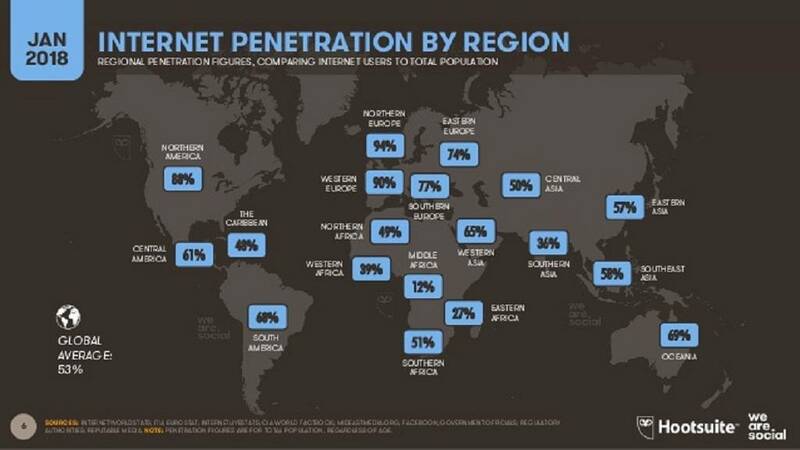 Mobile penetration rates however remain below 50 percent across much of Central Africa. 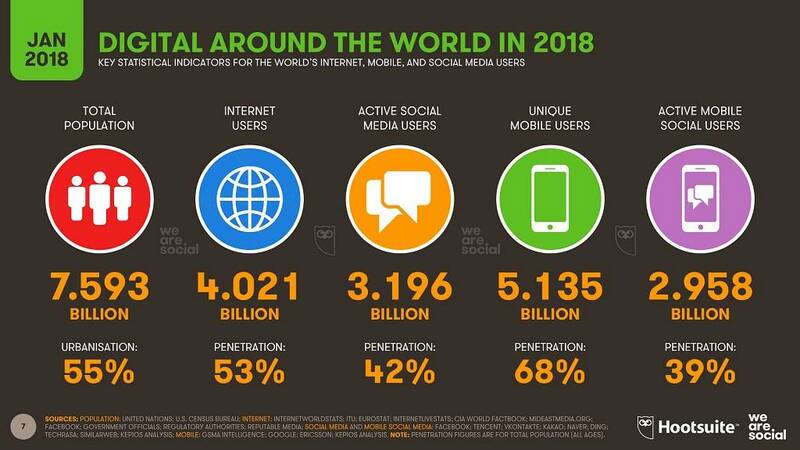 More than 3 billion people around the world now use social media each month, with 9 in 10 of those users accessing their chosen platforms via mobile devices. There were 11 new users on social media every second of the year 2017 as 1 million people started using social media for the first time every day over the past year. WhatsApp and Facebook Messenger both grew twice as fast as the core Facebook platform, with the number of people using each messenger app up by 30 percent. 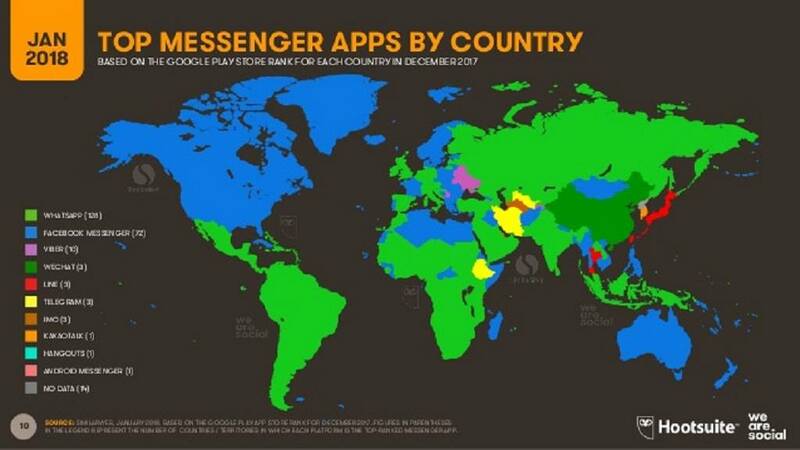 WhatsApp is now the top messenger app in 128 countries around the world, compared to Facebook Messenger’s 72. Despite these impressive statistics for the instant messaging platforms, Instagram was the standout Facebook owned app over the past 12 months, with the number of global users up by a third. Average mobile connection speeds increased by more than 30 percent over the past year, a statistic that that is important since faster connections may also help to reduce stress. Research has shown that delays of just a few seconds while buffering video content can trigger the same increase in anxiety levels as watching a horror movie on your own, or trying to solve a complex maths problem. It shall bound to expand in the coming days once developing an alliance with the Digital India program that aims to supply unlimited mobile data connection to the people at an extremely affordable price.